Mmmmm, my favourite remix from this collection! Vinyl ordered just now! Absolutely massive tune for massive sound system and open minded people. Perfect hypnotic stuff, perfect hallucination there, I want more, I must play it again & again. :) Very professional production - Afronaut still in good condition! Big Up! & cheeeers from Prague! I will not stop playing this! I will not.... Pure badness top topper bad!! Real fresh sounds here fellas .. any release date ? promo ? Eye luv all the mixes!! DOPE MY BRO!!!! THNX FOR THIS! @crisrumble: Yessai Rumble!! need to link you B!!! Inboxed. this is sounding so fresh! looking forward! 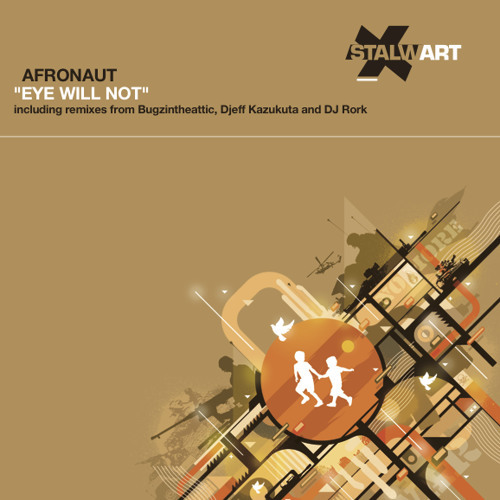 eye will Not! Wot a tune, luvin this!!! SICK SICK SICK TUNE!!! Been waitin' since the masher Phil Asher rocked it back to back on his show!